At the end of our amazing Norway adventure we drove south to Larvik to take the ferry and go to Denmark and then to Germany - where we dropped off my car - to be shipped to the US. 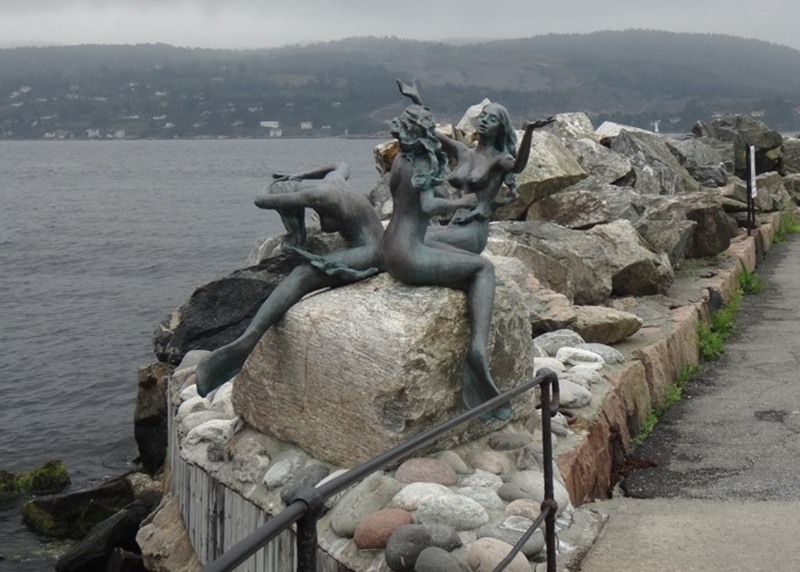 We first went to Drøbak on Oslofjord walked to the marina and visited the famous Mermaids statue by Reidar Finsrud. We then drove further south and visited Sandefjord nad its famous monument dedicated to whaling. The car being dropped at the freighter in Bremen.